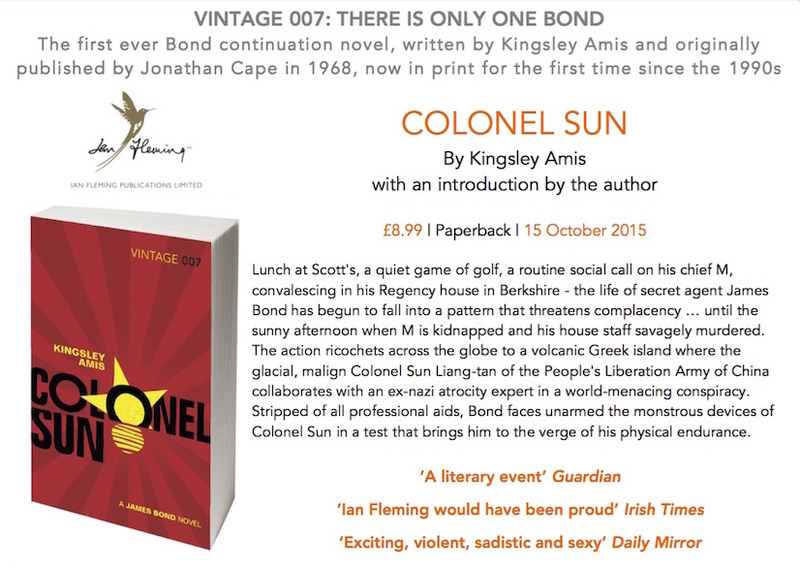 Today see's the release in the UK of Vintage Book's new paperback edition of Colonel Sun by Kingley Amis. This is the first reprint of Colonel Sun since 1995. 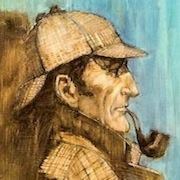 The cover art matches the artwork on Vintage's current set of Ian Fleming trade paperbacks. 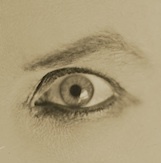 Purchase Colonel Sun now at Amazon.co.uk. Got my copy in the post. Sadly the cover is printed on gloss stock, so it doesn't match the papery texture of the preceding Fleming books, but it's great to finally have a copy of this! That's frustrating! I wonder why they wouldn't make it match? Strange because mine IS textured. Huh, really? That's annoying. I was hoping it would match nicely. Where did you get yours from?